In 1959, an explosion that came to be known as “The Blast” tore apart downtown Roseburg. One of the surviving buildings was the Historic Hansen Chevrolet Building, owned by the Hansen family since 1937. Just as that blast transformed downtown, an explosion of a different kind has occurred, and the Hansen Building is once again at the epicenter. 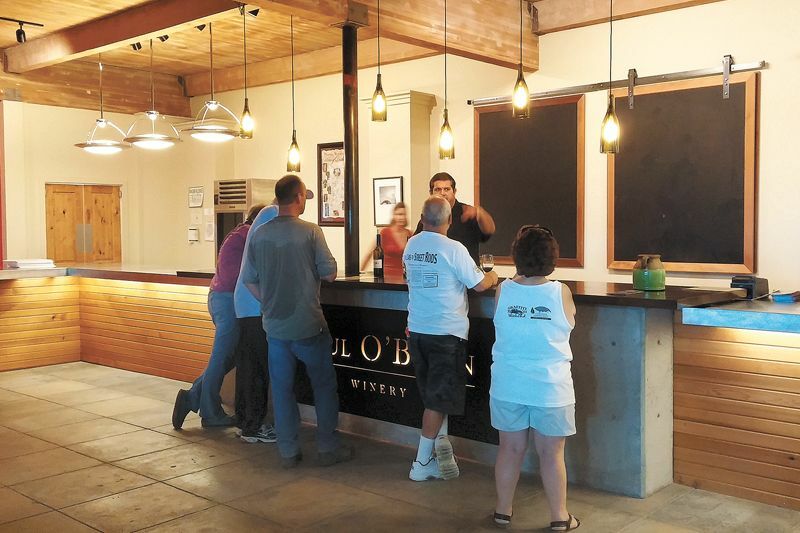 The renovations began one year ago, and on July 4, Paul O’Brien Winery opened as the first urban winery in Roseburg. Just like the business venture, the building’s new design is a blend of Dyson Paul DeMara and Scott O’Brien Kelley. It was four years from first seeing the building and deciding on the location to the transformation. What had been 28,000 square feet of empty space now celebrates the future of winemaking in the Umpqua. Upon entering the winery, you see the awe-inspiring sight of two 3,000-gallon casks standing side by side as sentinels to this new chapter, not only for Roseburg but the region as well. The tasting room is one of soft beauty, made of wood and stone. There is a feeling of timelessness illuminated by the golden glow of the lights made of wine bottles hanging above the zinc bar that is the color of burnished silver. It is paneled in reclaimed redwood and the room is given a sense of endless space as the eye travels the length of the room, from one wall painted a bright, mossy green to the opposite side in a warm shade of rose. DeMara and Kelley picked what they liked, rejecting trendiness for its sake. Half the building will serve as the winery; the other half will eventually become a marketplace for food and wine-related businesses, including a restaurant. Longtime friends and colleagues, DeMara and Kelley first worked together in 1999 at Robert Mondavi Winery in Napa Valley. With a shared vision of wine bringing people together, the friends embraced Mondavi’s philosophy of winemaking and living — that the duo has endeavored to bring to the Umpqua — encompassing what they like to call “a gracious lifestyle,” a commitment to family and to the community. Together, they bring a passion to their work founded in their friendship. Both have had long, successful careers as winemakers. DeMara is owner of HillCrest Winery & Distillery with a winemaking legacy passed onto him by wine pioneer Richard Sommer. HillCrest is the oldest estate winery in Oregon. Both DeMara and Kelley are storytellers; this is evident as they pour their wine for customers. The low hum of voices ebb and flow while conversation swirls around like wine in a glass and expands to fill the senses. Kelley says winemaking chose him, and he never wanted to do anything else. He began working in vineyards at age 17, leading to an education at U.C. Davis. He began his career at Edgewood Estate in Napa, became assistant winemaker with La Famiglia di Robert Mondavi, was promoted to director of winemaking and also worked with Estancia Estates of California before moving to Oregon. To sum up his philosophy, “You can’t make a great wine if you have not tasted one. Wine has nerve, soul, energy.” One of his favorite wines he made was a 2009 Tannat under his Moxy label and the first vintage made with DeMara. 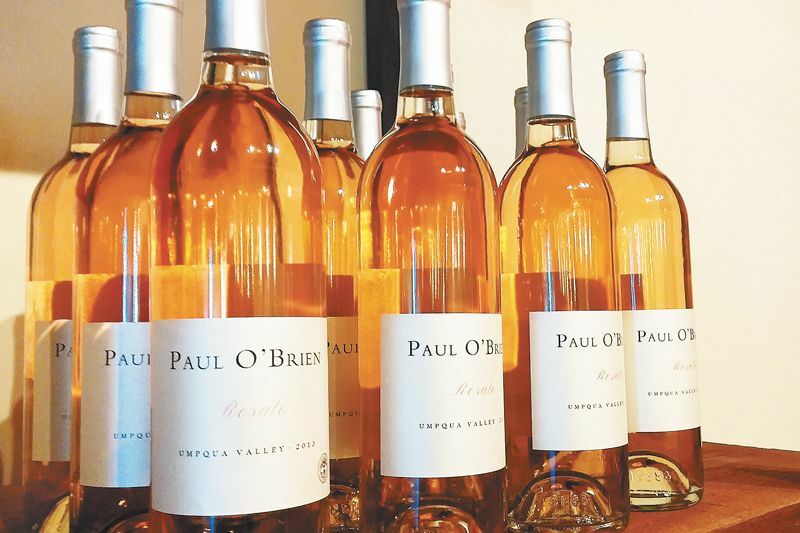 Paul O’Brien wines are sourced from Oregon vineyards; Moxy is produced by Kelley in California. Both are poured in the tasting room. 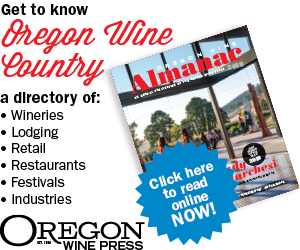 Wine flights include pours from the first vintage produced at Paul O’Brien: 2013 “Orsation” Umpqua Valley Riesling, an Alsatian-style white, and 2013 Rosato of Sangiovese, also sourced from the Umpqua Valley and the color of a summer sunset. 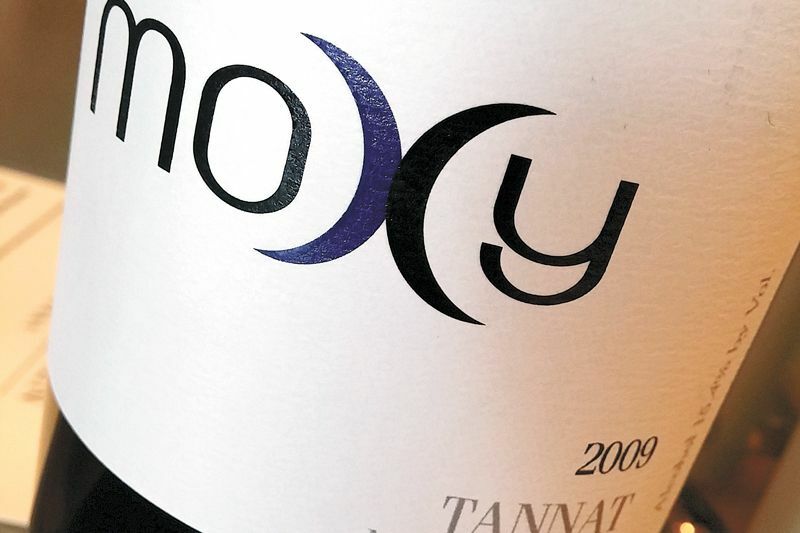 Two wines from the Moxy label are available to taste: 2009 Alexander Valley Petite Sirah and 2009 Monterey County Tannat — a red varietal historically grown in France’s Madiran AOC and considered the national grape of Uruguay. This blend is what makes Paul O’Brien Winery.